Proville is a village adjoining the town of Cambrai in the Department of the Nord. 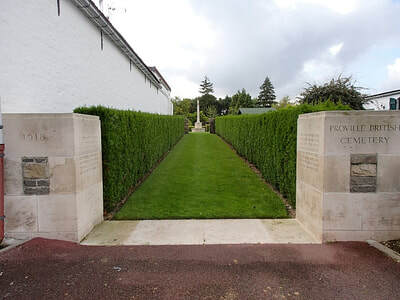 Proville British Cemetery is situated in the Rue Gabriel Peri, which can be found by following the D56 road from Cambrai towards Noyelles sur Escaut. 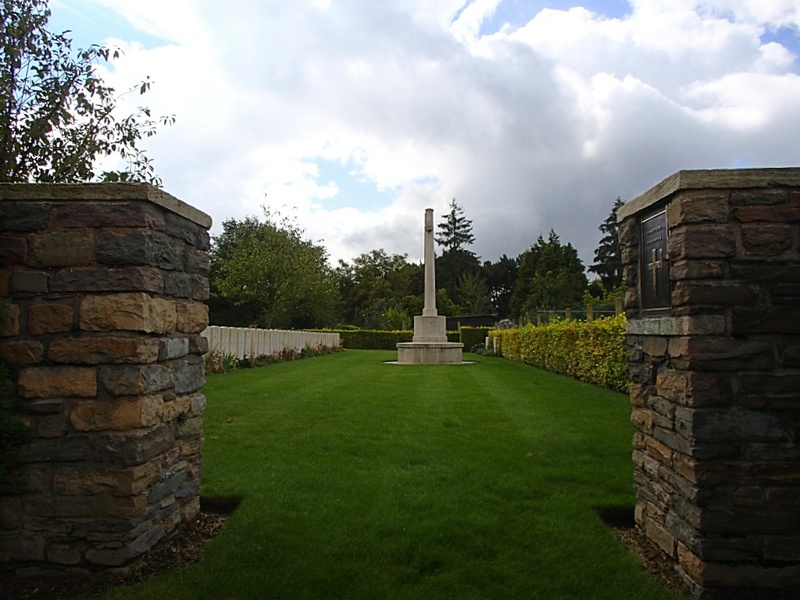 The cemetery is signposted at the junction of the D56 and the Rue Gabriel Peri. The village of Proville was captured on 8-9 October 1918 and the cemetery was made in the same month by the 61st Division and the 8th North Staffords. 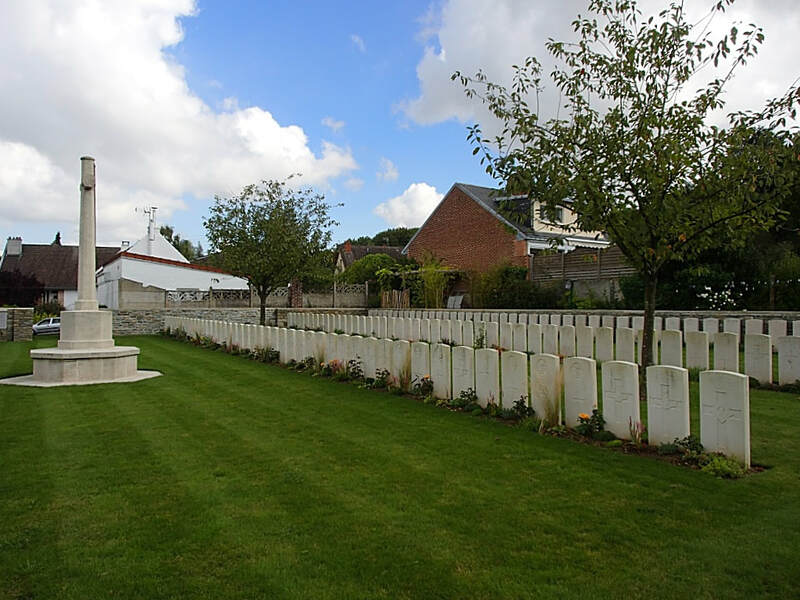 It was increased after the Armistice when 21 graves were brought in from the battlefields west of Cambrai. The dates of death are from the 20th September to the 19th October. Proville British Cemetery now contains 149 First World War burials, 27 of them unidentified. Casualty Details: UK 149, Total Burials: 149.